Simone de Beauvoir was born in Paris in 1908. In 1929 she became the youngest person ever to obtain the agrégation in philosophy at the Sorbonne, placing second to Jean-Paul Sartre. She taught at lycées at Marseille and Rouen from 1931 to 1937, and in Paris from 1938 to 1943. After the war, she emerged as one of the leaders of the existentialist movement, working with Sartre on Les Temps Modernes. 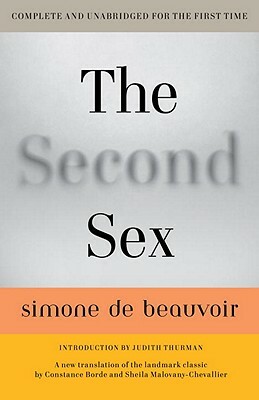 The author of several books, including The Mandarins (1957), which was awarded the Prix Goncourt, Beauvoir was one of the most influential thinkers of her generation. She died in 1986. Constance Borde and Sheila Malovany-Chevallier, both American, are longtime residents of France and former teachers at the Institut d’Etudes Politiques in Paris. Judith Thurman, author of Isak Dinesen and Secrets of the Flesh: A Life of Colette, is a staff writer at The New Yorker.